Super Dog Max is a red Standard Poodle on a mission to make people smile. 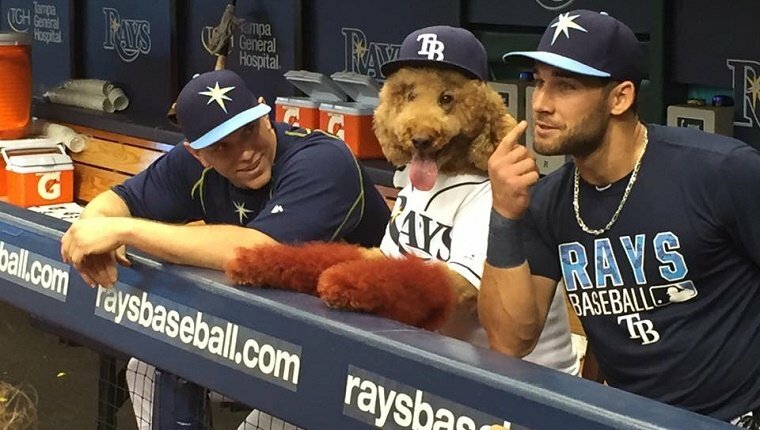 And he did just that when he joined the Tampa Bay Rays baseball team during batting practice before their game and was a guest in the dugout. 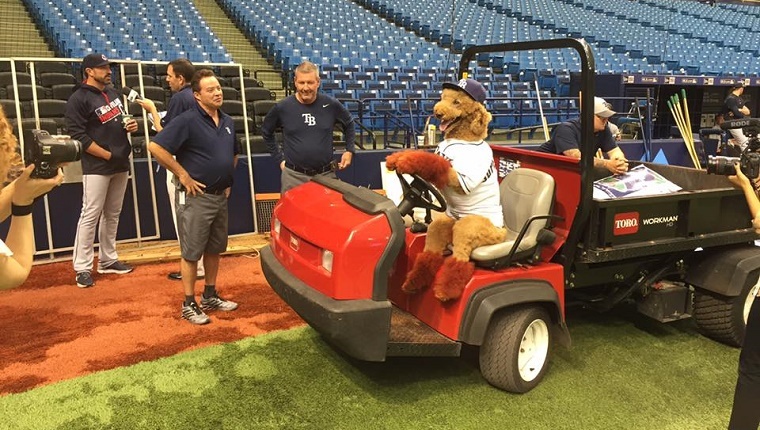 Max was there to promote the team’s Dog Day at Tropicana Field. 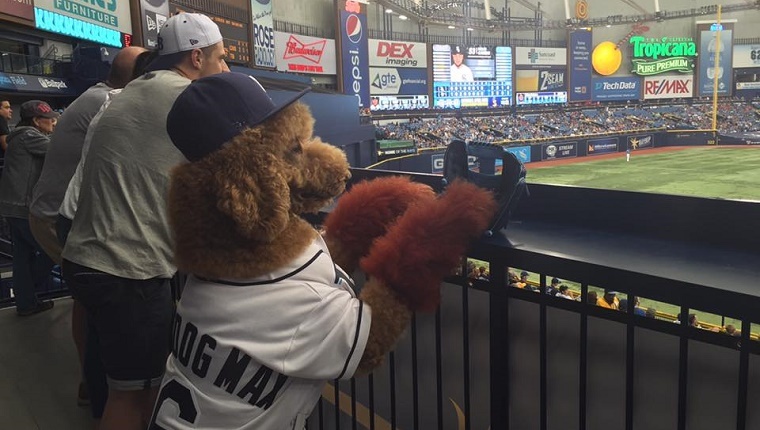 Max had a great time posing for photos, meeting fans, and watching the Rays win. In fact, he was so well behaved that some people were convinced he must be a human in a dog costume. But he’s actually a certified service animal and therapy dog. Though he prefers to be called a canine actor, since he mainly goes around entertaining people and providing them with comfort and smiles. The pup’s services are given for free. His owner is an animal trainer who enjoys volunteering. Together, he and Max travel around cheering people up and posting photos and videos online for the world to see. They also visit sick patients and children and provide them comfort and happiness as they try to walk, get out of bed, open up, laugh, or just feel better. Super Dog Max is just like a big, living teddy bear trying to make the world a better place! Would you like to see Super Dog Max at more events? Do you want a dog like Max to come visit you when you’re sick? Let us know in the comments below!